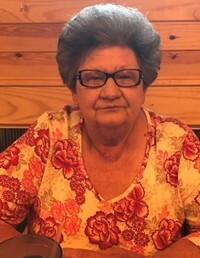 Carolyn Annette Ray Brown, age 72, of Loretto, TN passed away Wednesday, November 28, 2018 at Maury Regional Medical Center in Columbia, TN. She was a native of Lawrenceburg, TN, retired from Murray Ohio, and a member of Lawrenceburg Baptist Temple. She was preceded in death by her parents, Lewis Willard and Annie Mae Clay Ray; her husband, W. C. Brown; and three brothers, Gary Don Ray, Joel Ray, and Jr. Ray. Arrangements are being handled by Neal Funeral Home, 231 N. Military Avenue, Lawrenceburg, Tennessee. The family will receive friends from 4:00 PM to 8:00 PM Friday, November 30, 2018 at Neal Funeral Home. Funeral services will be conducted at Neal Funeral Home at 1:00 PM Saturday, December 01, 2018, with Brandon Smith officiating. Interment will follow at Pleasant Grove Cemetery in Lawrence County, TN.